If you thought that the Lloyd’s of London insurance and reinsurance market had changed in the last decade, it’s likely nothing compared to the change we will see over the coming years, as the world’s oldest re/insurance market accepts the fact its model has become unsustainable. This morning the Chairman of Lloyd’s, Bruce Carnegie-Brown, admitted as much as in the annual results pack, which revealed the market fell to an aggregated pre-tax loss of £2 billion in 2017. The underwriting loss was significant, at £3.4 billion for the year, as the results were driven down by the impact of the major losses from hurricanes and catastrophes in the second-half of the year which delivered a major loss bill of £4.5 billion to the Lloyd’s market and its underwriters. While the impact of the catastrophes was significant last year, the fact remains that Lloyd’s remains an expensive place to do business and as a result losses can tip it into unprofitability relatively easily. Lloyd’s operates on an expense ratio of around 30%, with 2017’s results showing acquisition expenses contributing 27% to the combined ratio and administration expenses 12.5%. The combined ratio in 2017 rose to 114%, but the goal going forwards will be to bring that down, through greater efficiency. “The market is embracing new ways of working, and I am confident the combination of our strategic focus and the market’s proven ability to respond to challenging conditions will ensure Lloyd’s continues to offer innovative and competitive solutions across all lines of business,” Carnegie-Brown said. The fact is that for years now Lloyd’s has been urged to open up, modernise, accept more efficient capital and risk transfer models, but it is only in the last few years that this has truly been heard and steps are now being taken to leverage the state of the market, the advancement of technology and of course the entry of efficient capital, to attempt to drive change. Lloyd’s, like all other traditional insurance and reinsurance players, has to find a way to be able to sustainably operate in an environment where risk pricing is lower and competitors are bringing increasingly efficient capital to market through increasingly streamlined business models. Here Lloyd’s should actually have an advantage, being a marketplace into which risks are placed and then syndicated among the capital and capacity providers. Think of a market-based model for the future of reinsurance. Risks are placed into the marketplace through technology based distribution channels, here we mean open channels developed specifically for their efficiency, not owned by bits and pieces of the market itself. Capital providers (syndicates) get to see all of the data on the risks, analyse them, then place bids to underwrite them (a bit like an auction), with the risks eventually being placed through algorithms that know the preferred markets, the most efficient capital and the most sustainable way to syndicate the risk around that marketplace. Sitting atop this efficient risk transfer structure is Lloyd’s itself, providing the oversight for the market but also perhaps facilitating following markets, with their efficient capital, to take the lead from the best underwriters in a class of business, augmenting the leads capacity and benefiting from their expertise. Perhaps the lead even gets a commission fee, for ‘introducing’ their underwriting of a risk to the followers. As we’ve said before, and no doubt will again, every market player in insurance and reinsurance needs to identify the models that allow them to monetise their expertise, while increasing efficiency and leveraging the lowest-cost capital. The above is but one way Lloyd’s could do this, although questions over the necessary size of Lloyd’s and whether it needs an enormous building (or even such a physical presence as it has today) to achieve this will remain. Efficiency is just one of the levers that Lloyd’s has at its disposal and its likely we’ll see the market drive down the digitalisation route towards modernity, but hopefully not at the expense of getting locked into systems developed only for a segment of the broader global risk market and avoiding vendor lock-in as well. Either of these scenarios, with the result of getting locked into something that proves not to be the most efficient venue for risk placement, trading and capitalisation, could sound a death knell for Lloyd’s and also for any other major re/insurance players working on initiatives that are closed. Closed software solutions are rarely the most efficient solutions and as a result can eventually find they are not the winners, we see that time and again. As Carnegie-Brown says, Lloyd’s needs to find sustainability and in many industries going through disruption, sustainability is found through openness, not a closed approach, or an attempt to create something that supports the status quo. Making it cheaper and easier to operate at Lloyd’s means making Lloyd’s itself a cheaper and easier operation, the two are not necessarily being viewed in the same way quite yet, we believe. 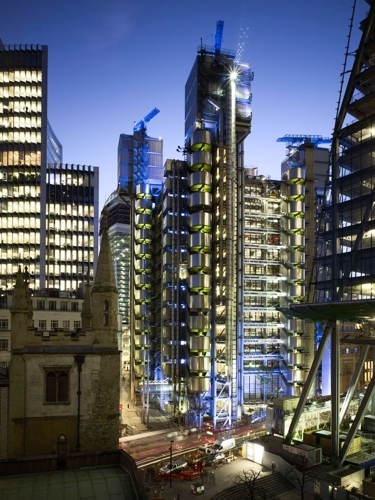 Radical change may be required in order for Lloyd’s to achieve the sustainability it wants. The ongoing and accelerating evolution of the insurance and reinsurance market will mean that risk increasingly flows, through the most efficient distribution channels, to be analysed by the most expert underwriters, and then backed by the most efficient capital. If you’re a broker you want systems that make it easier and cheaper to place those risks. If you’re an underwriter you’re going to want systems that add efficiency to your capacity. 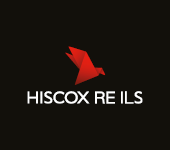 If you’re a pure capital provider you want access to the best possible risks at the best price, meaning the efficiency of the systems underpinning a marketplace is absolutely key. Lloyd’s needs to move in this direction, with a desire to create, facilitate and provide the most efficient risk marketplace that corporate risk managers, brokers, underwriters and capital providers want to operate in. Because if it’s not Lloyd’s providing that market-based construct, someone else will. Read about Lloyd’s annual results for 2017 over at our sister site Reinsurance News.